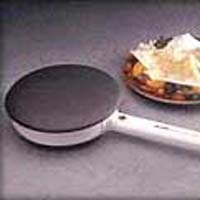 Home > Crepe Makers, Waffle Makers > CM5A, CREPE MAKER, FRESH NEW ITEM! Our new crepe maker makes an excellent gift for ther person that loves fresh crepes. It is easy to use, and comes with easy to follow crepe recipes. Make fresh crepes at home!